Classification folders are designed to subdivide the materials within one folder. 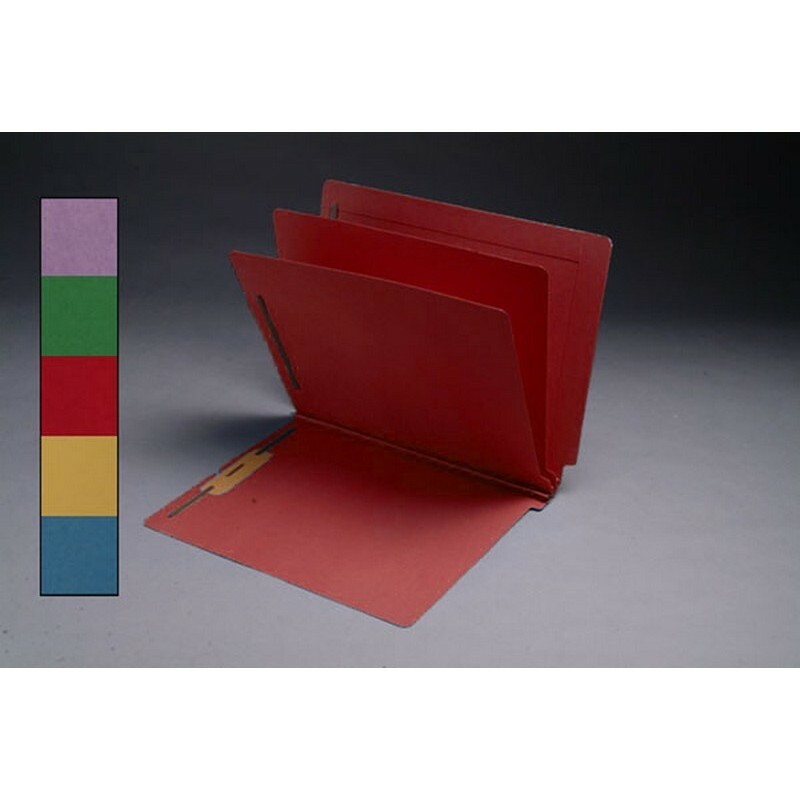 Constructed out of 14pt colored tag, these colored folders are designed for heavy use. Strength and durability are boosted by the back panel being reinforced on the end tab & top tab, as well as a 3" Mylar strip reinforcing the spine. The two dividers inside are made from two laminated 14pt colored panels for double the thickness. 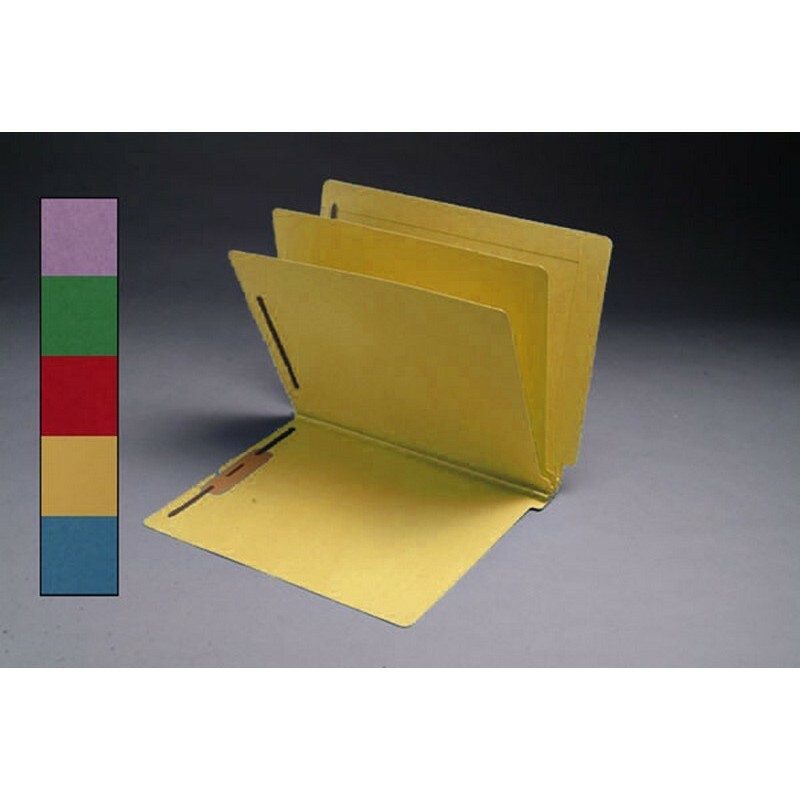 Additionally, 2" bonded fasteners are placed in positions 1&3, and each divider contains a 2" duo fastener. 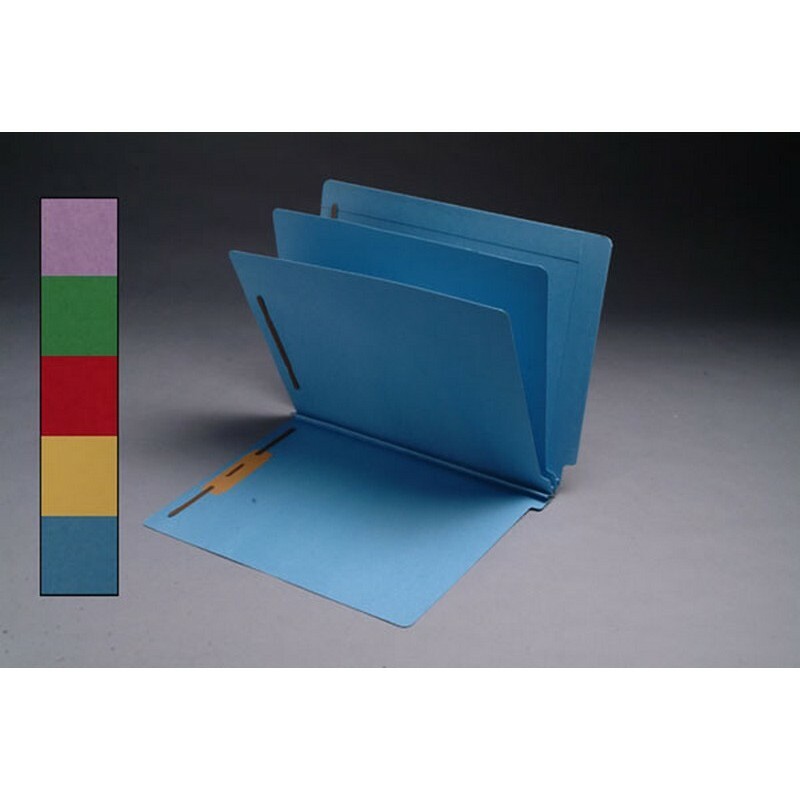 Folder Size: 12-1/4" w X 9-1/2" Overall, 11-3/4" W Body, Undercut to 11-3/8". Five Color Choices Available: Blue, Green, Red, Yellow and Lavender. Feature 10: Front panel undercut 1/4"
Please fill out the form below to request special volume pricing on the product S-9240.